If you plan to travel to a country where Yellow Fever occurs, it is strongly advisable that you obtain a valid Yellow Fever Vaccination Certificate. Please telephone the surgery and ask to discuss this with one of the Practice Nurses. Yellow fever is a serious viral illness that is transmitted by a mosquito (Aedes aegypti mosquito). The illness mainly occurs in sub-Saharan Africa, South America and in parts of the Caribbean. There have not been any recent cases reported in North America, Europe or Asia. Yellow fever can be fatal - about 5% death rate. There are two types of yellow fever: Jungle and Urban Yellow Fever. 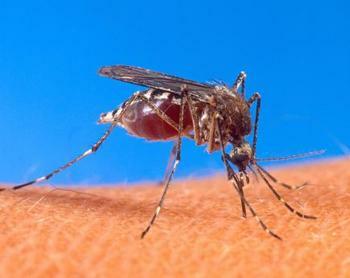 Humans can get urban yellow fever if they are bitten by an Aedes aegypti mosquito that has previously bitten a monkey or human who has the yellow fever infection. The risk of an urban yellow fever outbreak occurring is highest in areas that are close to jungles where the mosquitoes and infected monkeys live. The condition is managed by controlling the symptoms eg: fever, headaches and muscle pains can be treated with Paracetamol or anti-inflammatory drugs like Ibuprofen. A single dose of the yellow fever vaccine gives protection for at least 10 years. The vaccination should be given at least ten days before travel to an “at risk” country. This is to allow the body enough time to produce enough immunity against Yellow Fever. An International Certificate of Vaccination is valid only from 10 days after the vaccination is given. Children between six and nine months of age should only be immunised if the risk of yellow fever during travel is unavoidable. Pregnant women (unless the risk of yellow fever is unavoidable). Women who are breastfeeding (unless the risk of yellow fever is unavoidable). People whose immune systems are lowered (immunosuppressed), such as those with HIV and people receiving chemotherapy or radiotherapy. People who are allergic to eggs (the vaccine contains small amounts of egg). Under the Health Regulations set out by the World Health Organization (WHO), anyone travelling to a country or area where the Aedes aegypti mosquito is found must have an International Certificate of Vaccination. If you have been travelling in an ‘at risk’ area during the past month, it is recommended that you carry a yellow fever certificate with you to avoid potential problems with immigration. If you are travelling from an area where there is a risk of yellow fever without a valid yellow fever certificate, immigration officials are legally entitled to quarantine travellers for a period of at least seven days at the point of arrival into a country. If you lose your yellow fever vaccination certificate, you may be able to get another one re-issued as long as you have details of the vaccination batch number and the date that you had the vaccination.